Old MacDonald had a space farm. Applied Technology Institute (ATI Courses) offers a variety of courses on Space, Satellite & Aerospace Engineering. Also, our president, Jim Jenkins, is an avid gardener who grows a garden full of tomatoes, peppers, squash, peas. If you give an astronaut a packet of food, she’ll eat for a day. If you teach an astronaut how to farm in space, she’ll eat for a lifetime—or at least for a 6-month-long expedition on the International Space Station. Since its earliest missions, NASA has been focused on food, something astronauts need whether they’re at home on Earth or orbiting 250-odd miles above it. Over the years, the administration has tried a series of solutions: John Glenn had pureed beef and veggie paste, other flight crews used new-age freeze drying technology. More recently, NASA’s been trying to enable its astronauts to grow their own food in orbit. Bryan Onate, an engineer stationed at the Kennedy Space Center, is on the forefront of this technology. He helped lead the team that built Veggie, NASA’s first plant growth system, and next month he’s sending up Veggie’s new and improved brother, the Advanced Plant Habitat. Applied Technology Institute (ATI Courses) offers a variety of courses on Satellites & Space-Related courses. We thought this could be of interest to our readers. Space: the final frontier, the dark expanse, the great unknown. It’s a place only a few brave humans have traveled, and one that mystifies most others. For the astronauts who spend time among the stars, outer space is a realm that offers them amazing and unique experiences. Full of unknowns, space also offers its fair share of distinct problems. Science Channel’s new showSecret Space Escapes features some of the bizarre and terrifying issues that can occur when you leave Earth. But not all of the struggles of space are this extreme; some are as simple as home sickness or missing your furry best friends. Three astronauts featured on Secret Space Escapes about how they dealt with being committed spacemen and pet owners. Image above: Mission Specialist Clayton Anderson made his first shuttle flight on STS-117. 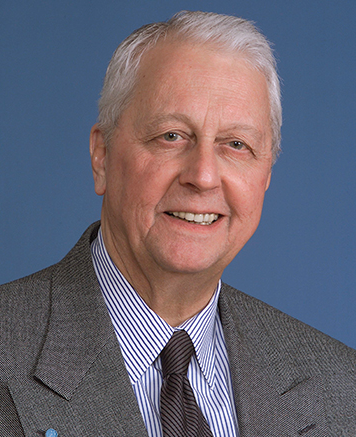 Anderson served as a flight engineer on Expeditions 15 and 16. 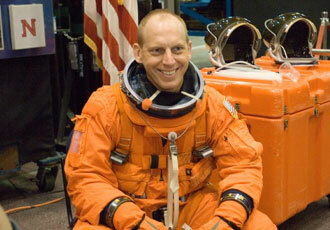 He was a mission specialist on the STS-117 mission aboard Atlantis. He stayed on the ISS for five months before returning to earth with the crew of STS-120. Clayton has two dogs: Cosmo (a mini dachshund) and Lizzy (a dachshund/Yorkie combo). His main means of communication with his furry friends were video chats. Astronaut and medical doctor Scott Parazynski was a crewmember on STS-86, the seventh shuttle mission to dock with Mir. Scott was also on mission STS120. He is a proud owner or Mare ( a planetary scientist dog). Mare’s name generates from the maria on the moon, the black parts on the moon that you can see with the naked eye. Scott mainly communicated with Mare via phone calls. Daniel has a total of 132 days in space about ISS. He has an 18 year old cat named Koshka (Russian for cat) and a dog named Tayto (after the Irish brand of chips). He doesn’t have a memory of seeing them in a video conference, but he is sure they were around. Like many things, the meowing and barking just go in the background. An unidentified space object will fall to Earth on Friday Nov. 13, but don’t be alarmed; it poses very little risk. The unidentified object was first spotted in 2013 by astronomers in Arizona and it was appropriately dubbed WT1190F. It is believed to only be a couple feet in diameter and not very dense, which could mean it’s a leftover piece of a rocket. Both ESA and NASA are excited to see the object reenter Earth’s atmosphere because it’ll help with research. ESA said the event will provide an opportunity to gather data and improve space agencies’ knowledge of how objects interact with Earth’s atmosphere. WT1190F is expected to reenter Earth’s atmosphere around 6 p.m. (Sri Lanka time) and fall into the Indian Ocean about 62 miles off the southern coast of Sri Lanka. Astronomers said the object will put on a spectacular show to those nearby as it turns into a bright strike against the mid-day sky. Not only that, Suntory recently announced that it intends to send some of its delightful spirits to age in outer space. They suspect that the zero-gravity environment may result in nothing less than the smoothest whiskey ever produced. Suntory will be sending six varieties of whiskey, aged for 10, 18, and 21 years, along with recently distilled beverages, to outer space as part of an experiment. Their theory is that the weightlessness of space will result in a smoother aged whiskey than is possible to attain on Earth. Employees at JAXA’s Tsukuba City Space Center in Ibaraki Prefecture recently prepared glass flasks that will be used to transport the spirits when Konotori Vehicle 5 (HTV-5) launches from JAXA’s Tanegashima Space Center on August 16. The whiskey samples will be left on the International Space Station for an unspecified number of years before being brought home to be inspected. Unfortunately for drink connoisseurs, Suntory has already stated that they have no plans to sell space whiskey as a product to the general public. Applied Technology Institute (ATIcourses) offers a variety of courses on Space, Satellite & Aerospace Engineering. We think the news below would be on interest to our readers. Two years ago Austrian skydiver Felix Baumgartner jumped from a helium balloon and fell 128,100 feet (24 miles) back to Earth at 843.6 mph. The funding was provided by Red Bull. He broke the sound barrier and set a world record. But Google’s senior vice president has taken the stunt new heights. Last Friday Alan Eustace road a helium balloon more than 25 miles off the ground and jumped. The dive wasn’t sponsored by Google, though. In fact Eustace declined the company’s offer for help with the jump because he didn’t want it to be a corporate stunt. Also, Eustace didn’t use a capsule to protect him during his ascent, and he asked Paragon Space Development, the company that made his suit, to create a pared-down pressure suit that would enable him to breathe pure oxygen during his fall. Mr. Eustace planned his jump in the utmost secrecy. He carried modest GoPro cameras aloft, connected to his ground-control center by an off-the-shelf radio. Eustace fell farther than Baumgartner but at a slower speed of 822 mph. But he still broke the sound barrier, and observers reported hearing the sonic boom. He also did two backflips before using a parachute to steady himself. Eustace told the Times, “It was amazing. … It was beautiful. You could see the darkness of space and you could see the layers of atmosphere, which I had never seen before.” Well, who hasn’t seen the layers of the atmosphere? Oh right, almost everyone! NASA’s Second Space Apps Challenge: 2 Days Left To Register! Applied Technology Institute (ATICourses) offers a variety of courses on Space, Satellite & Aerospace Engineering. We think the news below would be of interest to our visitors. Calling all space geeks: The hackathon is on! 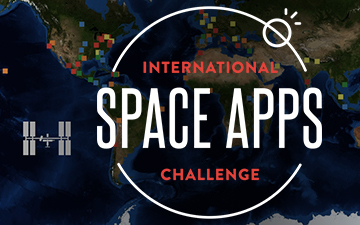 Bring your dreams, your drink (the caffeinated kind, of course) and your skills to any one of 75 locations in 41 countries around this world – or the whole Blue Marble if you choose to join virtually – to the second annual International Space Apps Challenge, April 20-21. Gotta eat: Develop a deployable greenhouse that could be used for an M&M mission (Moon or Mars). Bootstrap space: Develop the game Moonvilleto and virtually build a self-sustaining lunar industry. Seven minutes of sheer science: Conceive of how to make use of 150 kilograms of ejectable mass that also achieves a scientific or technical objective during the entry and landing phase of a Mars mission. Duck, duck, goose: Create a poultry management system for backyard farmers. Hey – whether you’re on the Moon, Mars, or Macedonia (yes, that’s one of the locations this year), you gotta what? Eat. Meteor, meteor, duck: Create an app to use during meteor showers that allows observers to trace the location, color and size of the shooting stars. Those are just some of the more than 50 space challenges posed for the 2013 event, and the invitation is open to all to bring their own. For a comprehensive explanation of how it will work, where to go, and how to register, go the space apps challenge website. Note: you’ll have to be a registered participant to submit a project for judging. Applied Technology Institute (ATICourses) offers a variety of Space & Satellite related courses. We thought the news below could be of interest to our readers. In recent months it has appeared likely that Voyager 1, a probe launched in 1977, has gone beyond our solar system but now it’s official: the spacecraft has left the building. This makes it the first human-made object to move beyond the Sun, its planets and its heliosphere, a region of space dominated by the Sun and its wind of energetic particles. The findings are to be published in Geophysical Research Letters (see abstract). And so there you have it, humans are an interstellar species. This is the century in which we have sent a machine on the path to the stars. 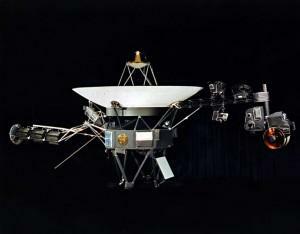 Will a spacecraft carrying humans join it next century?